papert: logo in your browser is a site dedicated to showing the classic LOGO software in a browser. Originally developed by Seymour Papert, it’s aptly called just papert. You can read more about it in the excellent, but perhaps sort of aging, books Turtle Geometry, by Abelson and diSessa, and also, of course, in Mindstorms, by Seymour Papert himself. 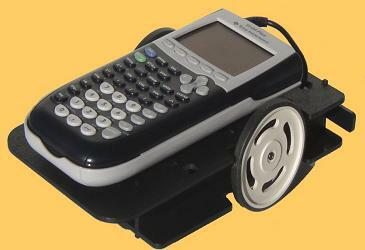 I have also had some fun trying the LOGO equivalent for TI84, namely the Texas Instruments TI Robot from Norland Research. Nowadays, it seems that LEGO mindstorms takes up the legacy of robotic programming for learning. Click here to try the LOGO website. I remember once, when attending confirmation training, we were forced (mildly, I should add) to learn the ten commandments by heart. Me being godless already at the age of thirteen, I thought this was a rather meaningless activity, but played along just to please grandparents and others. I digress – the point not being my own attitude towards the ten laws noone is capable of living by, but rather how the priest wanted us to learn them. Take this cheat sheet with you, and sit in the bathroom, preferably in the toilet. As absurd as the ten commandments appeared to me, this last statement proved to be much more vital to me. The priest’s words making a deeper impact than any god’s. And it works. I can’t think of any better quality study time than the lonesome toilet scenario. There are, of course, a lot of authors who have appreciated the toilet serenity. Even the guys at MAD magazine have their own Bathroom Companion (the turd in the series). Another favorite of mine is the Great American Bathroom Book, or GABB. In three volumes, they gather single-page (single sitting) summaries of all time best selling books. At work, I have started the secret toilet-exercise-tournament. I print out A4-sized pages with a mathematics problem printed in large lettering on it. PowerPoint is a nice and easy way of making these poster pages. I am thinking of laminating them, in order to… you know, avoid incidents. On a 2×2 grid of dots, you can draw one quadrilateral only. The square. How many quadrilaterals can be drawn on a 3×3 grid of dots? Suddenly the character “Shitbreak” from American Pie sprung to mind, so perhaps all these toilet exercises will be too weird for a lot of people, I don’t know. Right now it seems like a fun thing to do. If not THE right thing to do. I will appreciate any suggestions for toilet exercises in the comments. (Pictures are from the flickrCC site). Have a nice weekend!